Sir Paul Walker is a New Zealander who taught law at Ealing College of Higher Education (now the University of West London) from 1978 to 1980. In 1980 he began practice at the bar in London, specialising in shipping and other commercial work, and also in administrative law. 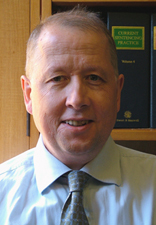 From 1994 to 1996 he was a Senior Lecturer at Victoria University of Wellington, where he set up the Insurance Law Study Group and in 1996 he became Director of the New Zealand Institute of Public Law. After returning to London he was appointed counsel to the BSE Inquiry in 1998 and took silk in 2000. In 2004 he became a justice of the High Court of England & Wales. He has been nominated to sit as a judge of the Commercial Court, and of the Admiralty Court, since 2007.